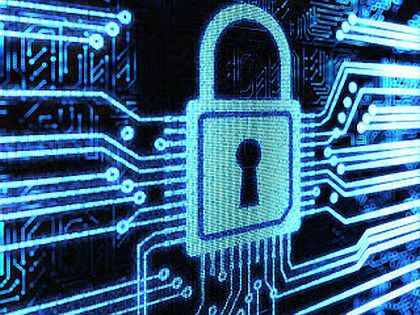 The cybersecurity industry is quickly expanding in response to the need for increased computer security. Here are the 10 top publicly traded cybersecurity companies according to the Cybersecurity Ventures 500 list. With Cybercrime tipped to be greatest threat at this point of human evolution, it is estimated that cybercrimes will cost the world $6 trillion annually by 2021, up from $3 trillion in 2015, according to a Cybersecurity Ventures report. In efforts to minimize cybercrimes, companies in the space are no doubt putting forth their best efforts in combating cyberthreats. With that in mind, here the Investing News Network (INN) is profiling the 10 top public companies on Cybersecurity Ventures’ most recent Cybersecurity 500 list. The list features the companies that deal with cybersecurity, and the publisher claims to have included the companies based on numerous criteria including the problems solved, customer base, VC funding, company growth among others. The companies below trade across a wide range of stock exchanges and does not include private companies listed on the Cybersecurity 500 list, therefore the list numbers in our list do not match those of Cybersecurity Ventures, although it is listed in consecutive order. All numbers and figures are current as of market close on May 16, 2018. Here’s a closer look at those companies. First on our list and third on the list of top 500 companies, is CyberArk, who is classified for its privileged access security solutions. The company claims to offer numerous features including credential protection and management, session isolation and monitoring among others. Ranked fifth on the Cybersecurity top 500 list and second on ours is Cisco, who is best known for its host of security products and services to detect and stop threats. The company’s products are tailored for host of activities and services including cloud, email, network, router among other things. The San Jose company was classified under the threat protection and network security sector. IBM was at the top of the list on our top cybersecurity stocks that was published last year. This year the company is ranked sixth in Cybersecurity Ventures’ Cybersecurity 500 list, through its platform IBM Security, and is third on our list. The company is classified for its enterprise IT security solutions, which. range across mobile, data, network and endpoint solutions. IBM uses AI and also cloud platforms to protect and detect threats. Microsoft was ranked seventh on the Cybersecurity 500 list and comes in fourth on our list of top 10 cybersecurity companies. Microsoft is classified under the datacenter to endpoint protection sector. The company provides numerous offerings to counter cybercrime starting from the its prime Windows Defender product to its cloud based Azure and office 365 security compliance centers. Amazon is fifth on our list and eight on the Cybersecurity 500 list with the company classified for its cloud powered security solutions. The company claims to keep the data safe and meet compliance requirements while its platform features infrastructure security, DDoS mitigation among many other things. FireEye is sixth on our list and comes in ninth on the Cybersecurity 500 list. The company is classified for its advanced threat protection services. FireEye offers numerous solutions for enterprise security that ranges from network to email and threat intelligence solutions. The American company– with its interests from aerospace, defense to security and advanced technologies– is ranked 10th on the Cybersecurity 500 list and seventh on our list. Lockheed Martin is classified for its cybersecurity solutions and services with the company claiming to build a cyber center of excellence through its skilled analysts and superior technology. Ranked 11th on the Cybersecurity 500 list and eighth on ours, Check Point Software is classified for its unified threat management. The company offers numerous products to protect users on network, mobile, cloud and to also provide them with various security management services. Symantec has been providing security softwares for more than three decades. The company ranks 13th on the Cybersecurity 500 list and ninth on this list. The company was picked on the endpoint, cloud and mobile security sector. Like many other companies on the list, Symantec provides solutions for various services including advanced threat protection, email security, cloud and network security services. Symantec also runs Norton, one of the popular antivirus software in the world. BAE Systems is a British multinational defense, security and aerospace company. The company is classified for its cybersecurity risk management services and is ranked 14th on the Cybersecurity 500 list and closes out our top 10 list. The company provides a host of services that deals with email security, fraud detection and prevention, AML regulatory compliance and national threat defense solutions. BAE Systems operates through five segments: the electronic systems; the cyber and intelligence systems; intelligence and security systems; applied intelligence; and the platforms and services.